Parenting is hard . . . and often gross. Laughing about it helps. Fowl Language lets parents know they're not alone by taking an unvarnished look at the tedium and aggravation of child-rearing, while never forgetting that the reason we put up with the little jerks is that we love them so damn much. 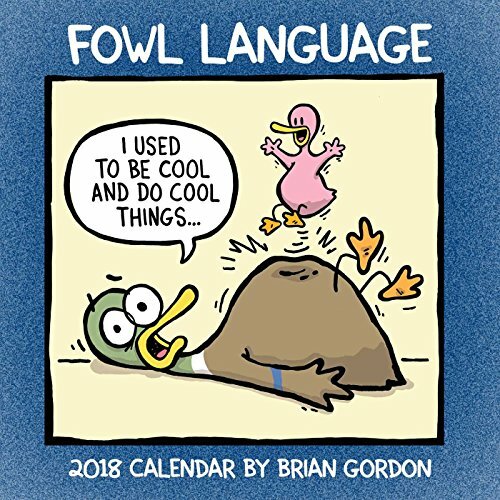 Each month of the Fowl Language 2018 Wall Calendar features a hilarious, relatable, full-color comic, plus the Bonus Panel–a fan favorite. The situations depicted are so spot-on that some readers have wondered if creator Brian Gordon installed a camera in their homes. Hey, he's not creepy; he's just a dad. Sure, a dad who can write and draw, but still. . . . Display this calendar in a preferred parent time-out space to laugh out loud and feel less alone in the struggle to stay sane.